One of the reasons some people do not sell high ticket products is because they can’t understand why people are spending $1000’s on products. For example (let’s get a bit metaphorical here), if you were on a magical island where there was an abundance of wealth, and nice things happening all the time. On a neighbouring island there was a lot of poverty and people were struggling to live comfortably. The people who were struggling could see the nearby magical island where everything was great and there was abundance of good things. They wanted to get to that island and improve their lives. But how were they going to get there? They could get to the magical island by buying a set of flippers to swim across. This would take them weeks and they would have to endure the dangers of swimming across shark infested waters and the possibility suffer dehydration. A lot of people would choose this method and buy the flippers because they are affordable and it would give them a chance of getting to the magical island, albeit with the dangers involved and the long time it would take to complete the journey. There is also the choice of buying a canoe to make the journey. This would cost five times the amount of the flippers but it would get them to the magical island quicker and with less danger. The next notch up would be having the opportunity to buy a jet-ski to journey across to the magical island. The jet-ski would cost more than the flippers and the canoe but it would reduce the time to get there and also drastically decrease the dangers involved. Now there’s also a speedboat for sale where you don’t even have to drive yourself - it’s almost a ‘done for you’ service. This would drastically reduce the time to get to the magical island but it’s expensive, much more so than the flippers, canoe and jet-ski’s and speedboat on it’s own. We are talking about 50 X more than the cost of the flippers. Now there are going to be less people that can afford the speedboat ‘done for you’ service and it will be a very specific market of people who will be in a position to purchase it. The reward for the person buying the speedboat is they are virtually guaranteed to get to the magical island and improve their lives and those of their family in a much shorter period of time and without the dangers involved in some of the other methods of transport mentioned previously. 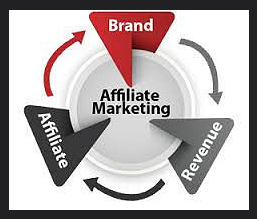 It’s the same when it comes to the question of how to make money with affiliate marketing online. People are constantly looking for solutions to their problems, much like the problems of getting across to the magical island and deciding which solution to use - the flippers, canoe, jet ski or speedboat. The point here is that there’s always a market for people who want to get somewhere faster, more effectively and with less danger along the way. They’re willing to invest and pay for the privilege of this more efficient service. And of course there would be a difference in prices but what I’m sharing with you now is the exact business model of the Six Figure Mentors (SFM) and Digital Experts Academy (DEA) which provides eBooks and information, membership sites with video and training, one-to-one mentorship, seminars and workshops and also intense partnership programs. The result for people who invest more in their education is that they do reach their goals quicker and without as many risks as those with lower priced products and services. It’s also done with less efforts as there is more leverage and more support with higher ticket items. In the world of internet marketing it’s learning how to make money with affiliate marketing online the fast and simple way. There are lots of different products and services that you can go out and promote but what Stuart recommends is promoting a range of different products and services. Find product lines and marketing funnels with an integrated product suite that has a variety of products at different levels and price ranges. Be in a market place where there is a growing range of products which enables you to earn more and more money for the sales that you’re making. What you’ll find is that you are most passionate about selling the higher ticket products and services because you know the customer is getting the best possible value and the best possible chance of success. This is whether it be losing weight, self-development, getting better at business or learning how to make money with affiliate marketing online. In the information age people are very willing to spend money to get good quality information, services, training, support and mentorship. Find the right company to teach you the necessary skills to build a very profitable online business and create multiple streams of income by selling products and services you are fiercely proud of. 0 Response to "Make Money With Affiliate Marketing Online (part 2)"